Employees of a company receive an IRS Form W2 at tax time, while those who provide services as independent contractors typically receive a 1099. 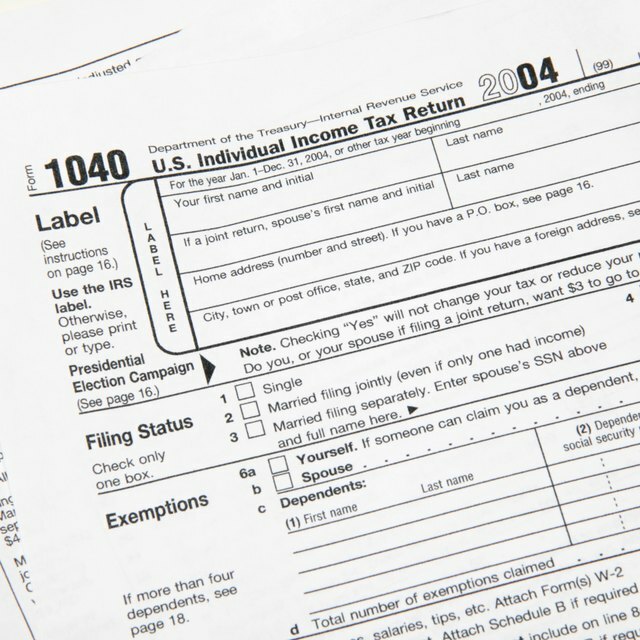 One of the major differences between those who receive a 1099 and those who receive a W2 is the way taxes are handled. A company won't take taxes out of the payments it makes to independent contractors. While getting a 1099 makes an individual liable for a higher tax rate in some cases, it also means she can claim more deductions. If you are a 1099 earner, the Internal Revenue Service expects you to make quarterly estimated tax payments if you are likely to owe more than $1,000 at tax time. This means you make payments four times a year instead of salaried or hourly employees, whose taxes are withheld every paycheck. Take a portion of each payment you receive and place it in a savings account dedicated to your quarterly tax payments. The amount you need to pay will earn interest until you withdraw it to pay the tax man. When you receive a 1099, you need to pay a self-employment tax of 15.3 percent of your net earnings if you earn more than $400 as a self-employed person. That's double the amount that people who receive W2 forms need to pay. But you do get to deduct half of the self-employment tax you pay from your income. For example, if you end up owing $2,500, you can subtract $1,250 from your income on your tax return even if you don't itemize. This will lower your overall tax liability. When you receive a 1099-MISC, you are technically a small business in the eyes of the IRS. This means you can deduct expenses related to your business, using Schedule C. Expenses you can deduct typically include the cost of transportation for business, insurance premiums for the business, and the cost of professional services such as hiring an accountant to do your taxes. Don't blur the line between business and personal expenses, though. For example, if you drive to meet a client, then drive to pick up your child, only the cost of the trip to meet your client is deductible. Workers who receive W2s and those who receive 1099s can both complete Form 8829 to figure out the deduction for business use of their homes. The rules for people who are employees are more strict than for those who receive a 1099. For example, a W2 employee who works from home must do so for the benefit of her employer -- not because she doesn't feel like heading into the office. With few exceptions, the home office area must be used only for business and must be the principal place of business to qualify for deductions.